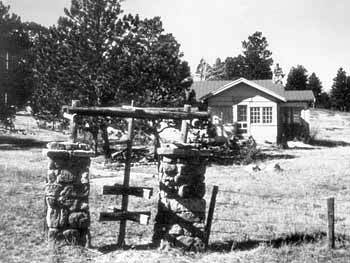 Built in 1910, the Black Dog Inn was one of the earliest homes in the burgeoning village of Estes Park. Snuggled in among towering pine and aspen trees on a rolling acre, the Inn offers an expansive view of Lumpy Ridge, Mummy Range, Mt. Olympus and the Estes Valley. The Inn is only a short five-minute drive to Rocky Mountain National Park, and surrounding footpaths allowing you to walk to the scenic River Walk and nearby Estes Park attractions. As we celebrate our 16th anniversary of operation as a bed and breakfast, we invite you to join our celebration. 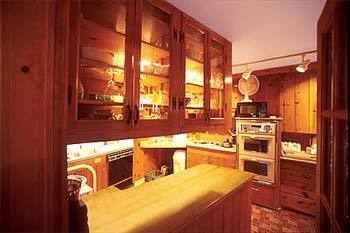 The Inn features three individual suites, a cottage, and two luxury cabins, named after nearby mountain peaks. 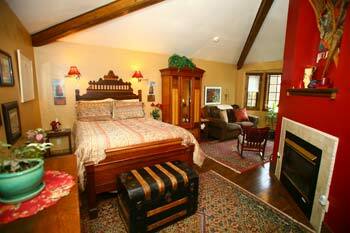 Rooms are tastefully appointed with family antiques, feather down comforters and bathrobes. Each suite seeks to unite the charm of yesteryear with the comforts of today. These quiet, restful suites make your stay a relaxing special occasion. But you won't linger in bed when you awake to the delicious smells of breakfast topped off with freshly brewed coffee, steaming hot tea, yummy breads, and muffins. A promise of culinary delights to come. 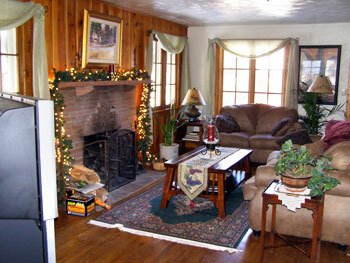 Common rooms at the Inn include a sunny library/reception room, cozy breakfast room, and living room where you can relax, read, or watch a movie in front of a crackling fire. The original knotty pine great room with the unique, locally well-known large sandstone fireplace. The room has an antique piano, video library, cable TV, and interesting antique artifacts from many local and national regions. Our sunny reception room filled with local maps, guidebooks, literature, magazines and trail information. 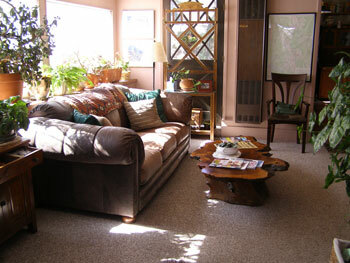 This room can also be used for getaway relaxation, reading, writing, or just sitting! The Breakfast Room is where guests gather in the morning for a delicious three-course breakfast, surrounded by antiques, and original art. A delight for the senses. 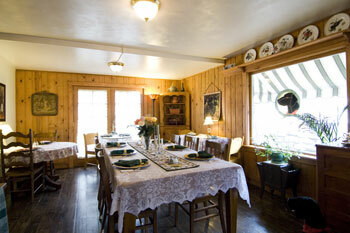 Our Warm Country Kitchen is where breakfast and afternoon goodies are prepared to welcome our guests. Selections include peach upside down French toast, Black Dog Inn baked oatmeal with our own strawberry sauce and vanilla topping, everyone's favorite Trinidad hash browns topped with salsa and sour cream served with eggs and freshly baked donut muffins. by the large sandstone fireplace in the living room. 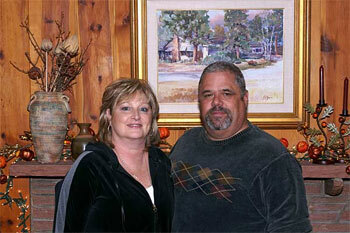 We and our staff welcome you to the Black Dog Inn. Our goal is to pamper you with the same kind of loving warmth and hospitality that one would receive as a loved, long-lost relative who has finally come home. We have a passion for helping you create wonderful memories of your romantic getaway, wedding and small family reunion. Whether you are just beginning a new life together, reconnecting with each other or family members, come relax, unwind, and be refreshed as you spend time here with us.